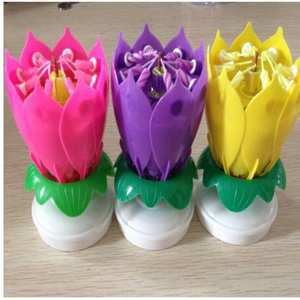 Itme name 2015 hot sell Soccer music rotating football birthday candle Description 2015 hot sell Soccer music rotating football birthday candle Shape football candle Material Paraffin Wax Color Multi colors as per customer&rsquo;s requirement Packing Blister card, pvc box H. S Code 3406000090 Customized design available OEM available Delivery time 7-15 days after received the deposit Sample time 10days Output 2 thousands per day MOQ 10000 peices Port Ningbo Payment term T/T Odor No Toxic No Dripping No Smoking No Apply to Birthday, part, celebration, household and others Yiwu Yipin-candle co. , Ltd , founded in the 90's,is a professional manufacture company integrating design,development,production and distribution,manufacturing a variety of birthday candles , festivalcandles , illuminating candles and any other kind of carftwork such as carft candles and jelly candes . 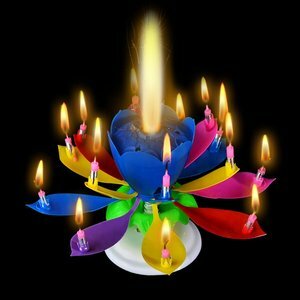 Rotating flower musical candle making birthday lotus candle 1.triangle base candle with 8 small candle , you can according your need to choose small candle. 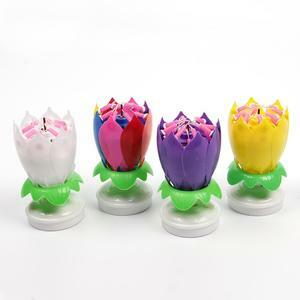 2.lotus flower candle with can play "Happy birthday" 3.Can be put on the cake 4.when light the red dot the cotus's leaf will auto-opening and singing 5.if you wish to stop the music. 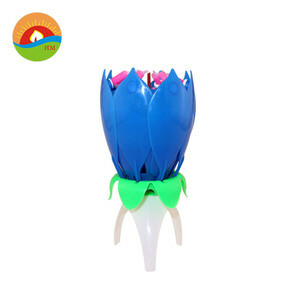 Explanation to the cutline 1. use the lighter to light the center , then full color fireworks can be spouted immediately. 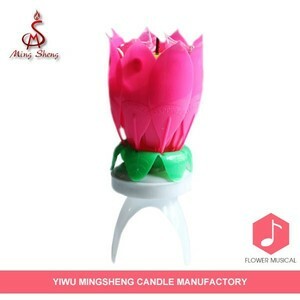 Alibaba.com offers 1,297 rotating birthday candle products. About 69% of these are candles, 19% are fireworks & firecrackers. 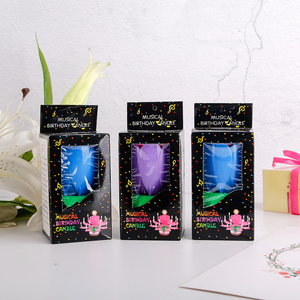 A wide variety of rotating birthday candle options are available to you, such as yes, no. You can also choose from free samples. 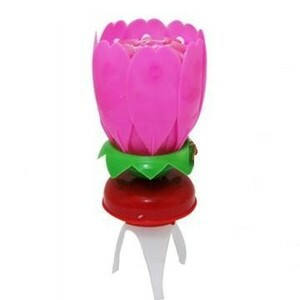 There are 1,297 rotating birthday candle suppliers, mainly located in Asia. 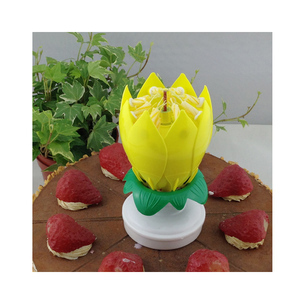 The top supplying country is China (Mainland), which supply 100% of rotating birthday candle respectively. 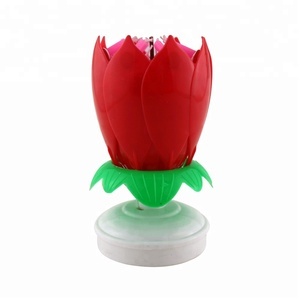 Rotating birthday candle products are most popular in North America, Africa, and South America. 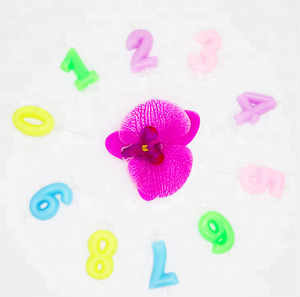 You can ensure product safety by selecting from certified suppliers, including 220 with Other, 53 with BSCI, and 10 with ISO9001 certification.